In the State of New York, traffic violations often face serious and expensive consequences. While fines, fees, community service, and other consequences are all possible – one of the most serious issues you may face for repeated speeding offenses is the potential to lose your license. Don’t Plead Guilty. Fighting Your Speeding Tickets Is as Easy As 1-2-3! With the Law Offices of Michael H. Ricca P.C. on your side, legal help is only a mouse click away. It all starts with uploading a copy of your ticket to our website or sending a copy of it to Tickets@RiccaLaw.com. Within 24 hours, an experienced speeding ticket attorney will contact you for a free telephone consultation. During this phone call, we will review your charges as well as any potential legal consequences you may be facing, including points and fines. We will also answer any questions you have about the legal process, timeline, or other related issues. After your free telephone consultation, we will send you an electronic retainer agreement and payment link. This helps to streamline the process and secure your legal counsel within seconds. No need to waste time trying to schedule us into your busy routine, drive to our office, or go over lengthy paperwork. We have made it as east as 1-2-3! WHAT PENALTIES AM I LOOKING AT FOR MY SPEEDING TICKETS? In New York State, the rules of the road are dictated by the New York Vehicle and Traffic Law, or VTL for short.  This compilation of laws sets forth the legal requirements for all users of New York roadways. This includes everything from vehicle registration to riding horses. To help the law enforcement officers reign in drivers who repeatedly disregard the VTL, the New York DMV has created a point system that corresponds to specific violations. However, these are not the only speeding offenses that can result in points, fines, or jail time. VTL 1180-(a) operates as a “catch all” law. It does not dictate a specific speed. However, it allows law enforcement to ticket you for driving unreasonably given the circumstances at the time. For example, if you are driving 50 MPH in a 55 MPH zone, you are technically driving under the speed limit. However, if you are doing so in a snow storm, 50 MPH may still be an unreasonable and dangerous speed. Law enforcement can then ticket you for this offense. These points are outlined in the table above. Speeding in A School Zone While School Is in Session: This is an expensive mistake. During school hours, which are considered to be 7AM to 6PM, on days when school is in session is going to cost you. If you are caught driving 1 to 10 MPH over the posted speed limit, you are looking at a 3 point ticket with a $90 to $300 fine. If you were driving 11 to 30 MPH over the limit, however, this increases to 4 to 6 points and a $180 to $600 fine. Caught driving more than 31 MPH over the speed limit will result in an 8 to 11 point ticket and a $360 to $1,200 fine! Speeding in A School Zone While School Is Not in Session: When school is not in session, such as on weekends or between 6PM and 7AM on week days, fines may be reduced. Points, however, remain the same. For driving 1 to 10 MPH over the limit, you can expect a fine that ranges between $45 and $150. A $90 to $300 fine will be imposed for driving 11 to 30 MPH over the limit in a school zone. When ticketed for driving more than 31 MPH, however, you are looking at fines between $180 and $600. In addition to the fines associated with the specific time of day, you will also be assessed a mandatory state surcharge. Depending on if the school zone was in a city or a town/village, you will face an additional $88 to $93 expense. Most people instinctively slow down as they approach a hazard. However, that is not always the case – thus VTL 1180-(e) was created. This ticket is typically issued in situations where a responsible driver would have momentarily slowed down. For example, you may be in violation of VTL 1180-(e) if you fail to slow down as you: approach an intersection with pedestrians, approach train tracks, or make your way through a winding roadway. A violation of VTL 1180-(e) is one of the only tickets that maintain a flat fee, regardless of the speed you were going. At present, this violation will cost you $150. It also comes with an additional mandatory surcharge of $88 or $93 and 3 points on your driver’s license. As with speeding in a school zone, doing so in a construction zone will be costlier than a standard ticket. In fact, if you are caught speeding in a construction zone, you can expect your fine to be double that of the standard speeding ticket, based on your actual speed. Your points, however, will remain the same: 1 to 10 MPH (3 points), 11 to 20 MPH (4 points), 21 to 30 MPH (6 points), 31 to 40 MPH (8 points), and 41+ MPH (11 points). This law particularly targets those who carry Commercial Driver’s Licenses (CDLs) because New York holds these drivers to a higher standard. This is due to the fact that large, commercial vehicles are much more likely to cause substantial damages and fatalities should an accident occur. This law is also meant to discourage the use of radar detectors in commercial vehicles due to the distractions they may cause. Points and fines typically remain the same as those for non-commercial vehicles. However, a CDL driver who receives a VTL 1180-(g) violation for any speed has an increased likelihood of losing their job as a result. Driving too slow can also negatively impact the flow of traffic as well. While this is a 3 point ticket, the fines increase with how many times you are convicted of this violation. Your first conviction will result in a $150 fine. A second conviction comes with a $300 fine. Found guilty a third time? Expect a $450 fine. Mandatory surcharges will also be assessed. This is the more specific version of the VTL 1181-(a) in that you are driving below the minimum speed limit in zones that post these. It is illegal to participate or aid in speed contests that are unauthorized in the State of New York. Your first offense will result in fines up to $525 as well as the mandatory revocation of your license and the potential for 30 days in jail. A second conviction within a year increases this fine to $750 and adds up to 6 months in jail to your potential consequences. This means that violating VTL 1182-(1) is a crime and will show up as a conviction on your criminal record. Depending on your speed, you may also be charged with Reckless Driving, which is another 5 point ticket. This carries up to $300 in fines for a first offense and a potential for 30 days in jail. A second offense has up to 90-days in jail and a $525 fine, followed by 120 days and a fine of $1,125 for a third conviction. Mandatory surcharges will also be assessed. If you accumulate 11 points or more on your license with dates of violations within an 18-month period, your driver’s license will be suspended. Having your license suspended means that you have lost your driving privileges for a period of time. There are two different types of license suspensions you may face in New York: definite and indefinite. Definite License Suspension: If you are issued a definite suspension order, you will have a pre-determined start and end date to your license suspension. While you will likely need to pay a suspension termination fee, you know exactly when you are able to drive again. Indefinite License Suspension: If you receive an indefinite suspension order, however, you do not have a pre-determined end date. Instead, you will receive a list of things you must do before you can pay your suspension termination fee. This may include responding to a traffic citation, paying a fine/child support/state taxes, filing a motor vehicle accident report, or other types of actionable items. Until all items have been addressed and resolved, you will be unable to legally drive under a New York State license. If you have 3 speeding ticket convictions with violation dates within an 18-month period, your driver’s license will be suspended or revoked. If your license has been revoked, however, you have a more serious battle ahead of you. While a suspension simply invalidates your license for a period of time, a revocation outright cancels your driving privileges. After your revocation period has ended, you cannot simply go to the New York Department of Motor Vehicles (DMV) to obtain a new license. First, you must request and receive approval from the DMV’s Driver Improvement Unit (DIU). It can take months to receive your approval – if the DIU grants it at all. The DIU may also require that you retake the written exam and/or driving test again prior to obtaining your new license. In addition to this, any fines or fees must also be paid prior to your license being reinstated. This includes a suspension termination fee, driver license civil penalties, and potential driver responsibility assessment fees. If your license was revoked and you are on probation, you will have to have a letter of permission from the court of your probation officer as well. The best way to avoid the threat of a license suspension or revocation is to fight your ticket(s) instead of simply paying for them. Speeding is one of the most common traffic offenses in Nassau County. For some, it may seem best to simply pay the associated fine and be done with it. However, paying the fine for your speeding tickets is considered to be an admission of guilt. As such, it can cost you big in the end. This includes burdens, such as fines, points, and increased insurance premiums. The Law Offices of Michael H. Ricca P.C. understands the severe consequences of pleading guilty to a speeding ticket. We are relentless in the fight to help our clients achieve the best possible outcome, including reduced or dropped charges. We have talked a lot about the various points you may accrue based on traffic violations. But what do these points really mean to you?  Below, the best Nassau County speed ticket lawyer addresses the most common questions we receive from our clients regarding the New York State point system. My Speeding Tickets Total More Than 6 Points On My Driver’s License – Do I Have to Pay A Fee? YES. If you receive 6 or more points on your driver’s license with violation dates that occur within an 18 month period, you must pay a Driver Responsibility Assessment fee. This fee is paid directly to New York State. It is paid in addition to any other fines, penalties, and surcharges imposed as a result of your speeding ticket conviction. To start, the annual Driver Responsibility Assessment fee is $100. This fee is imposed for a 3-year period. Therefore, the total Driver Responsibility Assessment fee is a minimum of $300 over a 3-year period. If you accumulate more than 6 points on your driver’s license, however, the annual assessment increases by $25 for each point over 6 points. For example, if you plead guilty to a speeding ticket 31 to 40 MPH over the speed limit, you will incur 8 points on your driver’s license. This will result in a minimum fee of $450 for the 3-year period ($100 for 3 years plus an additional $50 per year for the 2 additional points over the initial 6 points on your driver’s license). If you do not pay the Driver Responsibility Assessment fee, your license will be suspended and you can face additional penalties. In addition to this, if you are issued any other tickets while under a Driver Responsibility Assessment period, you will incur increased fines and a higher likelihood of a license suspension. While one ticket can automatically trigger the Driver Responsibility Assessment, it can also open the door to serious financial hardships and ongoing issues. Fines, Penalties, And Surcharges Are Expected – But Will a Speeding Ticket Also Increase My Insurance Premiums? For each additional speeding ticket conviction, your insurance premiums can increase exponentially. My Speeding Tickets Total More Than 11 Points On My Driver’s License – Will I Lose My License? YES. If you receive 11 or more points on your driver’s license with violation dates within 18 months, your driver’s license may be suspended or revoked. Your license may also be suspended or revoked if you plead guilty to 3 or more speeding tickets with violation dates within 18 months. I Did Not Realize Paying My Ticket Meant I Was Pleading Guilty – Can I Still Fight My Ticket? YES. However, time is limited if you mistakenly paid your fine and, therefore, admitted guilt to a speeding violation. If you have pled guilty by mail and now wish to undo it, please call The Law Offices of Michael H. Ricca P.C. today! The Law Offices of Michael H. Ricca P.C. understands that a speeding ticket conviction means more than just the initial fines, penalties, and surcharges. Our firm understands the rippling financial impact a speeding ticket conviction can have. We treat each and every speeding ticket as if it were our own. Is it important to remember that you owe a response to your ticket within 15 days of receiving the ticket. If you wish to plead “not guilty” simply check the box and return it via the instructions provided. If you have surpassed this time, you need to contact an attorney immediately as this could lead to more serious charges. Whether you have missed the 15-day window, accidentally plead guilty by paying the fine, or simply want to evaluate your options, The Law Offices of Michael H. Ricca P.C. is here to help. With the experience, knowledge and passion you need in your corner, you have nothing to lose and everything to gain by contacting us today. So what are you waiting for? 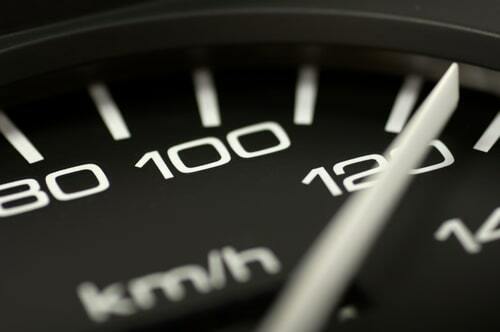 You do not have to simply accept the points and fines associated with a speeding violation. You can always choose to fight! Call The Law Offices of Michael H. Ricca P.C. today for your free telephone consultation regarding your speeding tickets.